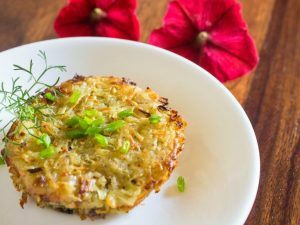 These hash browns are made in a skillet or casserole dish and baked in the oven. By adding the cream of chicken soup and sour cream, you will get amazingly creamy hash browns with a nice crunchy top. 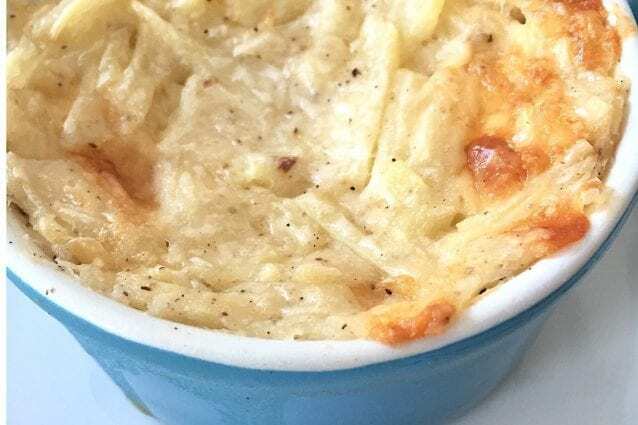 Unlike many hash brown recipes that are fried or baked to be crispy and somewhat dry, this dish can go right in the oven and come out with a beautiful texture- so much less work than standing over hot oil frying hash browns! While we recommend this as a side dish for breakfast, try it for dinner as well! Wash the shredded potatoes in cold water and strain. Repeat this step two more times to ensure you rinse all of the starch off of the potatoes. Squeeze all the extra water out of the potatoes or let air dry. 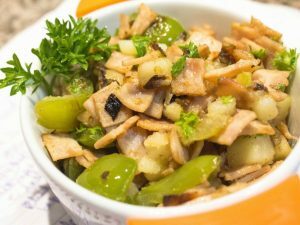 In a large bowl, combine all of the ingredients, including the dried potatoes and stir together well. 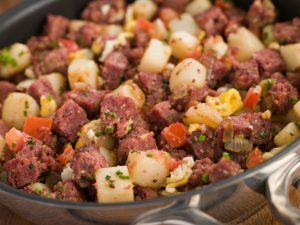 Transfer the potato mix into a greased oven safe skillet, 11×14 inch casserole dish or individual ramekins. 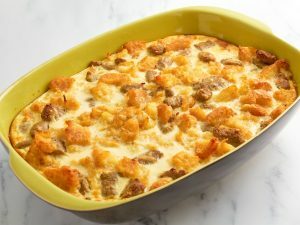 -This casserole heats up very nicely if you need to make it a day ahead. Before you serve the hash browns, simply reheat them in the oven for about 10 minutes until the center is hot. 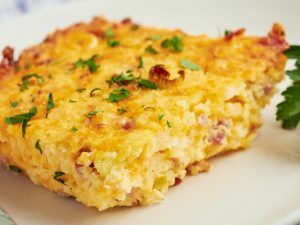 -For an extra indulgent hash brown recipe, add 1/4 cup chopped bacon to the mix before baking.